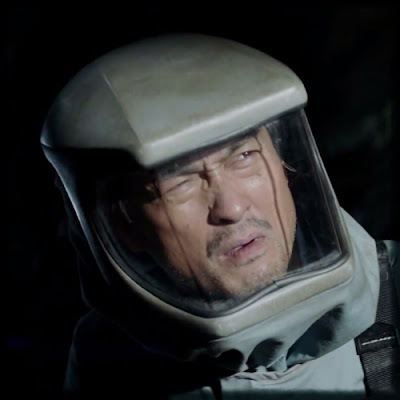 Kaiju News | Everything Kaiju: What Did Japan Think of the Godzilla 2014 Trailer? What Did Japan Think of the Godzilla 2014 Trailer? Yesterday we gave you the Top 10 Media Reviews of the New Godzilla Trailer. Today we thought we would share some comments from Japan. The folks at kotaku.com gathered multiple comments from Japan's largest bulletin board 2ch. Most of the comments are positiv, some seem non sequitur, and other are just plain hilarious (especially the comment about Watanabe halfway down). "As usually, I haven't seen it, so I can't say anything." The original Kotaku article written by Brian Ashcraft has a few extra goodies, like comments from Japan before the trailer hit and also a link to to a Ken Watanabe interview. I like the original Godzilla movies by Toho (Japan). The last real Toho Godzilla movie was in 2004, called "Godzilla: Final Wars". I don't like where the new, American Godzilla is going.